Norway became a member of IHRA (formerly the ITF) in 2003 and served as Chair in 2009. The last two decades have represented a shift of political, social and cultural consciousness towards the Holocaust in Norway. This has been reflected through a diversity of educational, research and remembrance activities throughout the country – first and foremost at the Centre for Studies of Holocaust and Religious Minorities, the Falstad Centre, The Archive Foundation, The North Sea Traffic Museum and the Jewish Museums of Oslo and Trondheim. A number of memorial sites, museums, temporary exhibitions and monuments in Norway commemorate the Holocaust. The majority of these sites are localized in Oslo and Trondheim, the home cities of the two Norwegian Jewish communities. Most of them were established during the last two decades. Two exceptions from this development are the monuments inaugurated in the Jewish cemeteries in Trondheim and Oslo in 1947 and 1948. Since 2002, Norway has commemorated the International Holocaust Memorial Day on 27 January. In Oslo the annual commemoration takes place at the quayside from where the Norwegian Jews were brutally forced into ships for deportation to Auschwitz and extermination. 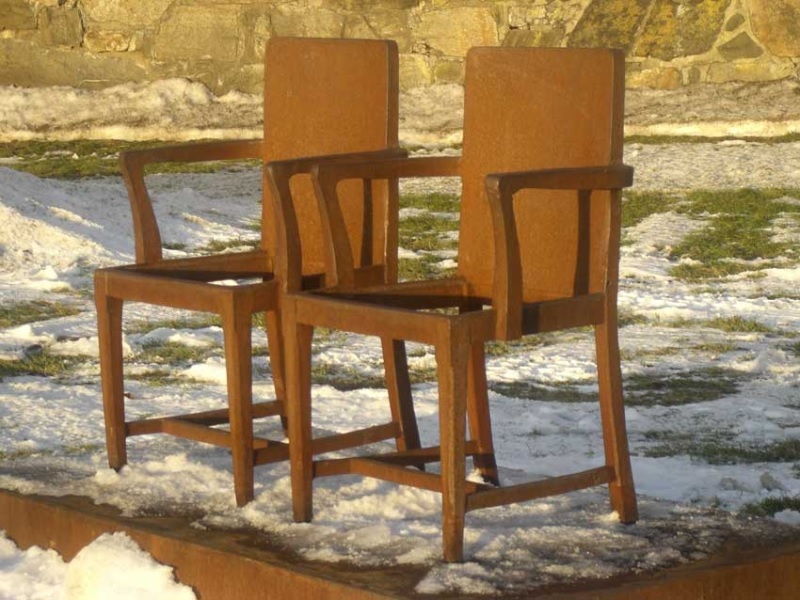 Members of the Norwegian Government attend and speak at the "Site of Remembrance," a memorial in the shape of empty chairs, created by the British artist Antony Gormley. Notably, on 27th January 2012, the Norwegian Prime Minister Jens Stoltenberg officially regretted the participation of Norwegian officials and citizens in the deportation of Jews in Norway. tours to Auschwitz and other memorial sites on the continent. Annually, several thousand of Norwegian secondary school pupils travel with the organizations White Buses to Auschwitz and Travel for Peace, performing acts of commemoration. A general overview of activities in Norway related to the 27th of January is to be found on the website www.holocaustdagen.no, administered by the Archive Foundation. During the last 30 years, Holocaust awareness in Norway has increased both within the educational sector and in society at large. It has become increasingly common for schools to participate in study tours to former extermination and concentration camps in Germany and Poland, such as Sachsenhausen, Ravensbrück and Auschwitz. Every year, several thousand Norwegian pupils at secondary school level participate in such excursions to former concentration camps. The current Norwegian curriculum for primary and secondary school has relatively general targets and individual themes are often not specified. However, targets expressed in a number of subject curricula at all levels of the school system allow for Holocaust studies to be appropriately included by the teacher. Municipalities and counties are themselves responsible for adapting curricula and teaching activities to the local contexts. Moreover, schools can make decisions on learning contents, working methods and teaching materials. There is an increasing emphasis in the Norwegian school system on pre- and in-service teacher training related to the Holocaust and other genocides, and at a more general level related to antisemitism, group-focused enmity and tolerance. The Minister of Education recently requested a review of textbooks related to the presence of the Holocaust in secondary education textbooks. Norwegian textbooks for schools are not subject to government approval. The intention is to gather information about the general visibility in textbooks of Holocaust related themes. The review is expected to be commissioned in 2013. The Holocaust Memorial Day. Norway has commemorated the Holocaust on 27 January since 2002. The official commemoration ceremony takes place at the quayside in Oslo, from where the Norwegian Jews were deported to Auschwitz-Birkenau. Members of the Norwegian Government attend and speak at the "Site of Remembrance," a memorial site made by the British artist Antony Gormley. The 27th of January is also commemorated in cities, memorial sites, museums and schools all over the country. Institutions, museums and memorial sites. Throughout the year, there are various ways of commemorating the Holocaust in research institutions, museums and memorial sites. Commemoration is often an integrated part of educational programs, art projects, virtual exhibitions and public uses of authentic sites and monuments. Important institutions are The Holocaust Centre in Oslo, The Falstad Centre near Trondheim, The Archive Foundation in Kristiansand and the Jewish Museums of Oslo and Trondheim. In addition, there are a number of monuments in Norway commemorating the victims of the Holocaust. 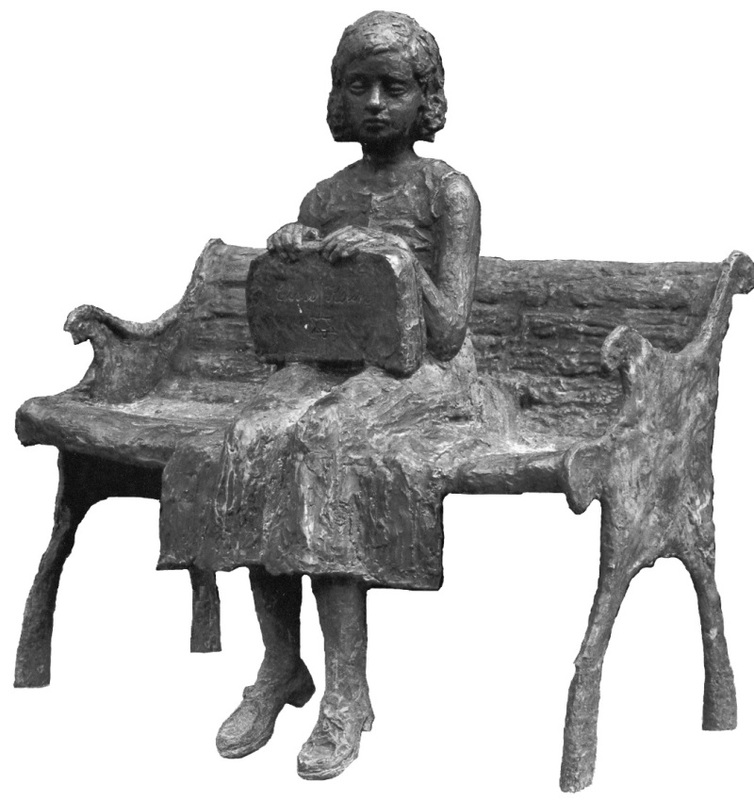 The first Holocaust-related monument in Norway was inaugurated in Trondheim in 1947. In the last decade, international art projects, such as the “Stolpersteine,” have made important contributions to the collective memory in Norway. School travels to Auschwitz and other memorial sites in Europe. Since the early 1990s, over 150 000 Norwegian school pupils have traveled with the organizations White Buses to Auschwitz and Travel for Peace, performing acts of commemorations in memorial sites. Until recently, survivors travelled with the pupils on these tours. Stiftelsen Arkivet is a foundation working with information, documentation, education, research and art & culture. The foundation is based in a building which served as a Gestapo regional headquarters during the 2nd World War, with the basement functioning as a detention and interrogation centre. It is located in Kristiansand on the south coast. The Falstad centre is a national education and documentation centre concerned with the history of imprisonment during World War II and human rights. The Falstad Centre is situated in the building that, in the period 1941-45, served as SS Strafgefangenenlager. It is located in Levanger municipality, 80 km north of Trondheim. The Centre has two main fields of interest: the Holocaust and other genocides on the one hand and religious minorities on the other. Within these two fields of interest the Center contributes new research, education and information activities, exhibitions and conferences. The centre is located in Oslo, in the former residence of Nazi leader Vidkun Quisling. Guided tours (order in advance), books and videos for sale, archive and library. The collections shows the Narvik Campaign of 1940 and the town during 5 years of Nazi-German occupation 1940 - 1945. The Museum organize seminars in related topics. The Museum is situated in Telavåg on the island Sotra west of Bergen. In 1942 two Nazi officers were shot dead by Norwegian agents in Telavåg. As revenge the Germans blew up all buildings, deported all the men to concentration camps in Germany and interned women and children in local camps. The permanent exhibition of the museum deals with the tragedy of the Telavåg community, and the museum has education programs concerned with the Second World War, human rights, and Holocaust education (27th of Janaury). Oslo Jewish Museum collects, preserves and does research into Jewish history and culture in Oslo and Norway. It is located in the former synaogue in Calmeyers street No. 15, in the middle of an area of Oslo where most Jewish immigrants settled when they arrived in Oslo. The museum has exhibitions and host cultural events focusing on Jewish religion, tradition, culture and history. The Rafto Foundation is a non-profit and non-partisan organization dedicated to the global promotion of human rights. The Centre in Bergen organizes educational projects that promote human rights including topics related to the Second World War. Located in the adjacent building of the synagogue in Trondheim, the museums hosts a permanent exhibtion on the Norwegian Chapter of the Holocaust particularly focusing on the history of the Trondheim Jews. The Museum is open to the public and school groups. The two main organizatios that organize study trips to former concentration camps in Poland and Germany. Approximately 15-20 000 students travel each year on these types of trips, making Norway one of Auschwitz Museum and Memorial top ten nations of visitors in real numbers. www. Holocaustdagen.no is a site for all actitivities related to January 27th where all schools are encouraged to organize activities commemorating the victims of the Holocaust. The site also contains links to Holocaust education materials. The Centre for Studies of Holocaust and Religious Minorities engages in academic research and education on the Holocaust, other genocides, and religious minorities in contemporary society. The Centre organizes international conferences and seminars, and features a permanent exhibition on the Holocaust. HL-senteret has advanced fundamental research on the Holocaust within both the Norwegian and pan-European context. Within the past few years HL-senteret carried out several research projects resulting in book publication. In Himmlers Norge: Nordmenn i det storgermanske prosjekt (Himmler’s Norway: Norwegians and the Great Germanic Project, Aschehoug, 2012) Terje Emberland and Matthew Kott examined, among other things, the atrocities committed by Norwegian members of the German Waffen-SS on the Eastern Front. Anton Weiss-Wendt’s Murder Without Hatred: Estonians and the Holocaust (Syracuse University Press, 2009) is the first comprehensive study in English to address this subject. Eradicating Differences: The Treatment of Minorities in Nazi-Dominated Europe (Cambridge Scholars Publishing, 2010) and Racial Science in Hitler’s New Europe, 1938-1945 (University of Nebraska Press, 2013), both edited by Weiss-Wendt, placed the Holocaust within the broader context of Nazi racial ideology. HL-senteret’s staff have contributed book chapters dealing with the memory of the Holocaust that appeared in the following collections of essays: Fortiden i nårtiden: nye veier i formidlingen av andre verdenskrigs historie (Past in Present: New Approaches to Teaching World War II History, Universitetsforlaget, 2011); Historicizing the Uses of the Past : Scandinavian Perspectives on History, Culture, Historical Consciousness and Didactics of History Related to World War II (Trancript Verlag, 2011); and Bringing the Dark Past to Light: The Reception of the Holocaust in Postcommunist Europe (University of Nebraska Press, 2013). Finally, in June 2013 Berghahn Books released a volume edited by Weiss-Wendt, The Nazi Genocide of the Roma: Reassessment and Commemoration. "Painful Heritage": a cultural study of World War II cultural landscapes, such as battlefields, remnants of Nazi camps, war graves and monuments. The database project "War Graves Seeks Names," analyzing the memory, management and uses of war graves in Northern Europe was launched in March 2011. Two PhD studies in history: "The Monuments of Horror" (on the uses and legacies of concentration camps after 1945) and "Norwegian Images of the Holocaust" (on the positions and functions of the Holocaust in the Norwegian historical culture after 1945). Research on the Norwegian chapter of the Holocaust is also in progress at the universities in Oslo, Bergen and Trondheim and at the Archive Foundation.